Posted byadmin	 1. 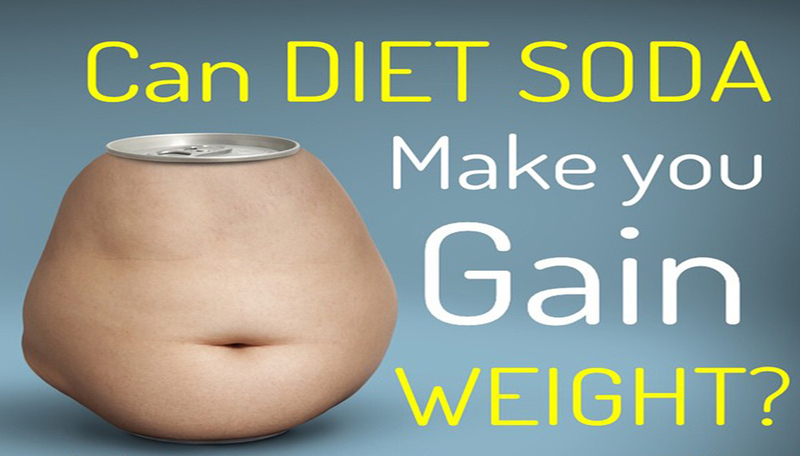 June 2015 Leave a comment on Can Diet Soda Make You Gain Weight? The Truth: Not only is diet soda NOT helping you lose weight, it has countless negative effects on your health. Diet soft drinks were once viewed as the ultimate solution to sugar-filled, calorie-laden juice drinks and sodas. Zero calories with the same soda taste? Here’s what you DON’T know about diet soda and why it’s actually not helping you lose weight. Diet soda is loaded with artificial sweeteners and chemicals that can be harmful to your body. Most are sweetened with at least one of these sugar substitutes: acesulfame, potassium aspartame or sucralose. .
Research has shown that artificial sweeteners can cause you to eat more. When we eat regular sugar, our bodies register the sweetness and come to understand that very sweet things contain a lot of calories. Studies suggest that using artificial sweeteners, tricks our bodies so that our internal ability to count calories is thrown way off. The study concluded that eating artificially-sweetened foods would eventually lead to greater weight gain than eating foods sweetened with regular sugar would. “Diet” doesn’t mean calorie-free. If you still want to drink diet soda, consider that the “no calorie” claim doesn’t actually mean “zero.” Although diet sodas with aspartame may be labeled as “calorie-free,” aspartame breaks down in the body into methanol and amino acids, which generate calories. Quitting soda isn’t easy, but it’s necessary. I recommend quitting cold turkey to eliminate your sweet cravings. If it’s the caffeine fix you desire, then there are plenty of other beverages to enjoy. Try a cup of green tea or try a packet or shot of flavored EBOOST for an all-natural, energizing drink that’s packed with essential nutrients and vitamins. If it’s a flavored alternative to water that you’re looking for, start with sparkling or regular water, then add cucumbers and oranges for a zesty flavor. . The Bottom Line: Diet soda will not aid your weight-loss efforts and has several negative effects on your body. Ditch the diet sodas and find healthy fixes that really do help, not hurt, your efforts to meet your goals.